Why not dive into your stash for this project? Take this workshop and we just might change the way you make quilts forever! This charming table runner is a perfect project to dress up any table or buffet. Using the HSTSystem (Half-Square Triangle Stencil System) way, you just might finish it in a day! 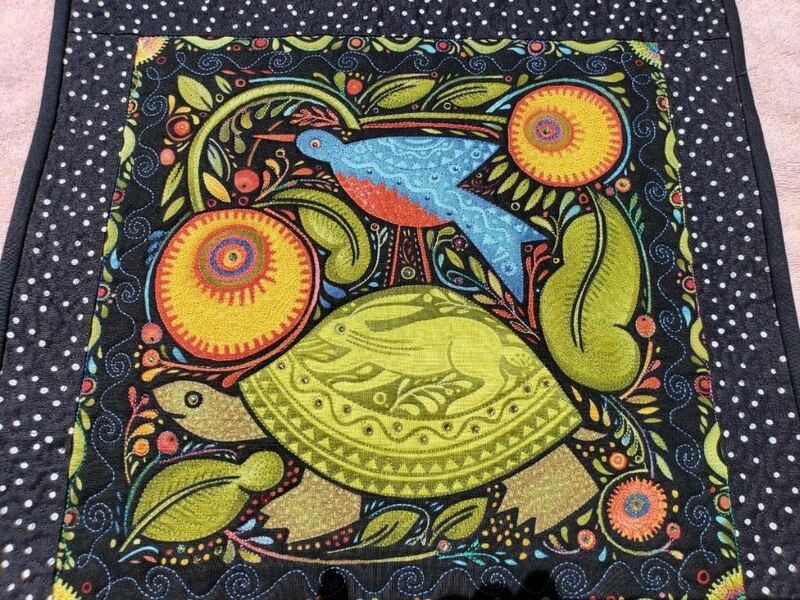 The table runner is 18.5" x 38.5". The Beginner’s Luck pattern, a $10 value, is yours as part of your workshop experience. Please see supply list for supplies and prep work to be done before the class. All skill levels. See you there! Beginners Luck Supply List.pdf Link to full supply list and prep work instructions. 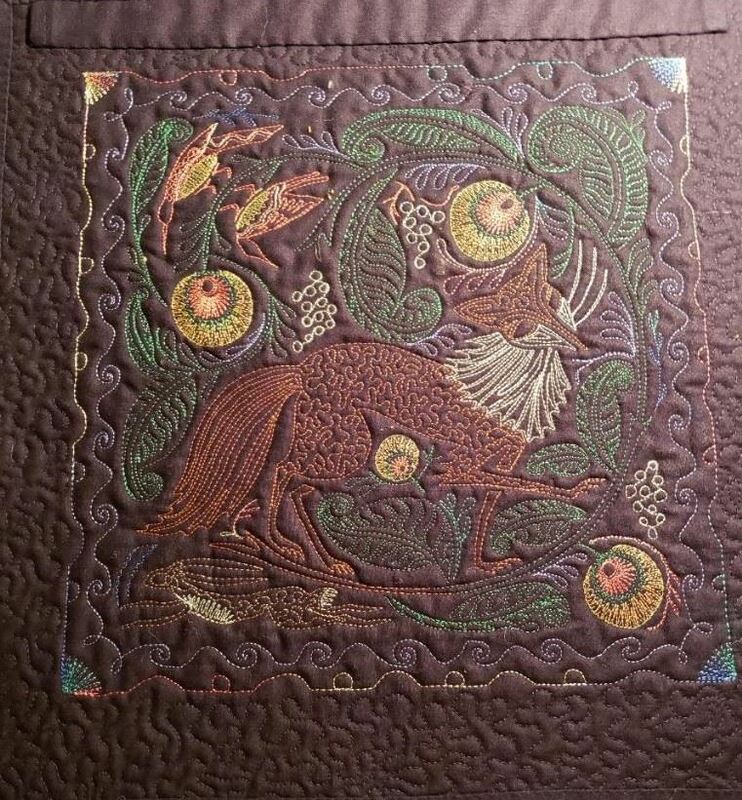 A chalk pounce pad, cost is $15 plus tax. If you have these two items, you will not be required to buy them from Cheryl. 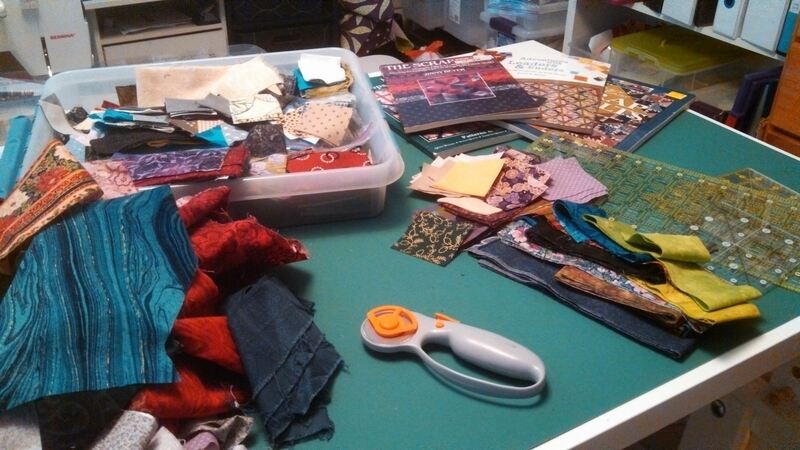 Attach and finish your quilt bindings with your machine! 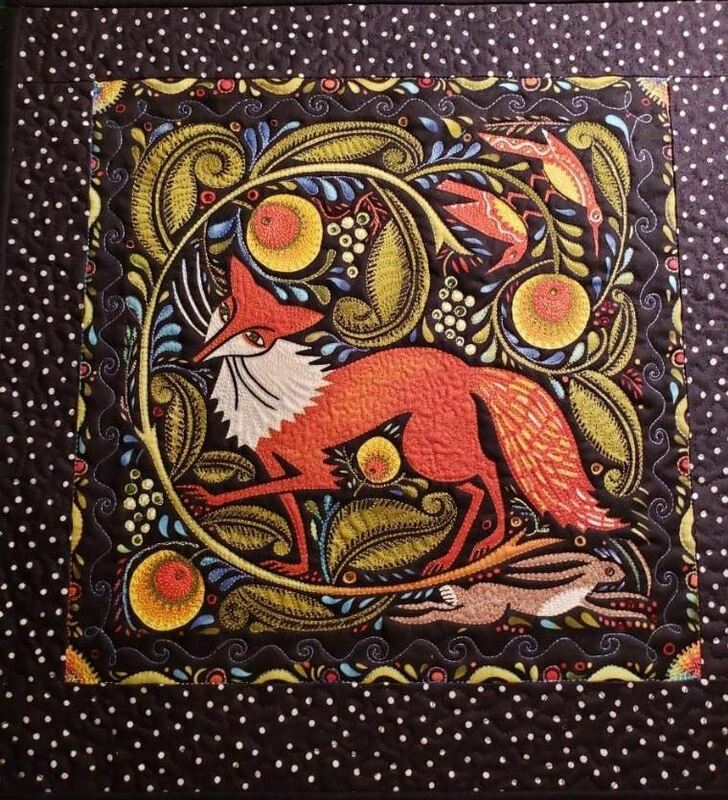 We will go through quilt preparation, binding preparation (sewing precut binding strips together), attaching to the quilt, finishing with a decorative or plain stitch. Unless you just like to watch a whole lotta TV, there is no reason to wear out your hands sewing down a binding! I’ll teach an easy way, which I now use on every quilt I make! Sewing Machine- One with at least a zig zag, feather or blanket stitch; (one with 1 amp or stronger motor size is best – if it’s strong enough to quilt with, it’s usually strong enough to handle machine binding). Special feet: A stitch in the ditch foot or open toe foot optional. 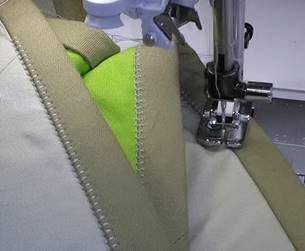 The left edge top stitch foot for HV is great if you have it! I’ll show several different feet as well.FYI, a walking foot is NOT really needed to attach binding, but you can use it. Precut Binding strips: Before class: Cut 2-1/2" or 3" wide binding strips, cut across the width of your fabric, equal to the rough measurement of the finished outside edge of your quilt plus at least 20 inches. Example: 18" x 18" quilt = cut 18x4 + 20 = 92, or 3 strips across width of fabric. More is better ;-). OR, a 2-1/2 inch jelly roll - though they are messy ;-) Join the strips with a miter seam, and fold in half lengthwise. Decorative thread – I like Signature 40 weight, Aurifil 40, Glide, or any other strong sewing or quilting thread. Cotton, or your preference, just be sure it’s not light weight (breaky!). Many 50 weight cotton threads are very light! One small bottle of Elmer’s WASHABLE School Glue. All skill levels but you will need to precut your binding strips and prepare them. A half size jelly roll can bind many small size quilts - available at your fav quilt shop, or Jo-Ann fabrics. Each quilter will learn how to disassemble her Singer 221 Featherweight, clean, oil, lube, and put back together. 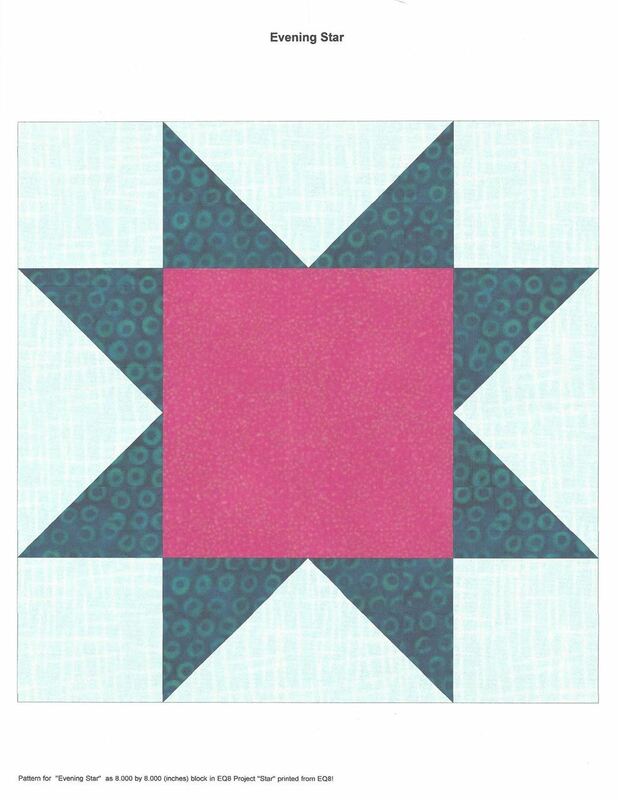 Test the stitch tension while completing a simple stitched block while diagnosing tension. I will have belts and other often needed repair parts/accessories available for optional purchase. Beginner skill level. You do not need any prior experience in Singer Featherweight repair. Singer 221 Featherweight Sewing Machine, extra needles, special feet: whatever attachments they have. Singer 222 is also fine. This fun class takes the care of the guesswork needed to make a three dimensional project (inspired by a Quilting Arts Show Guest Artist Mary McCauley (http://www.mccauleyart.com/about.html). 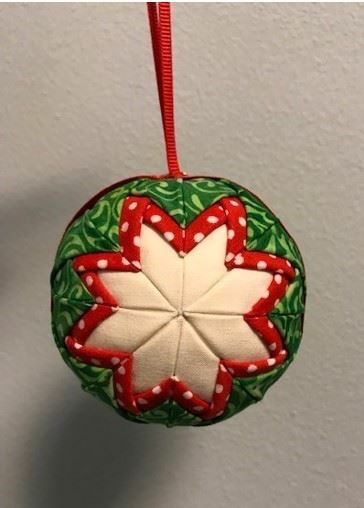 Bring a fat quarter sandwich – made with your favorite decorative quilting fabrics, and you will leave with a three-dimensional vessel. All skill levels. Optional: Thread in contrasting color with matching bobbin to decorate the prepared surfaces (to be completed after the pattern is drawn on the fabric). If you have a highly patterned fabric, this may not be needed. 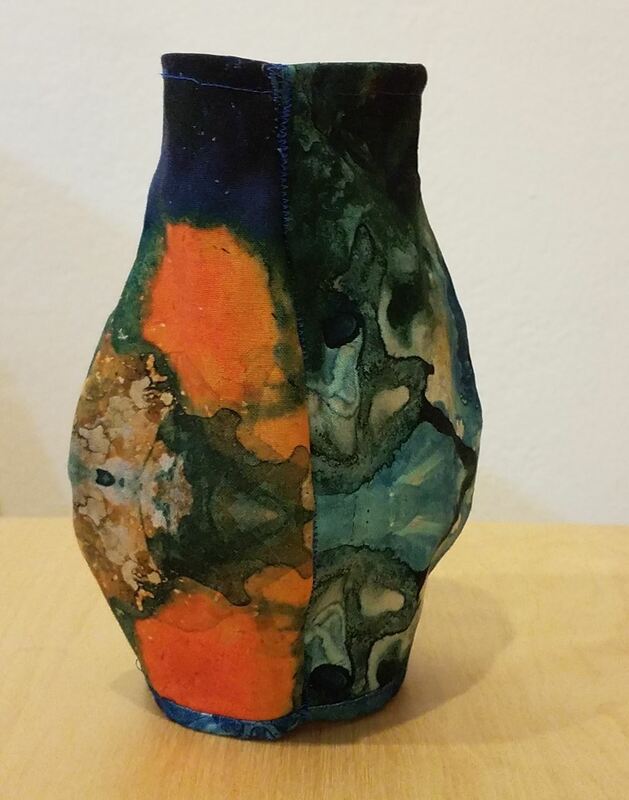 Make hostess gifts, Mother’s Day gifts, or one of a kind mixed media pieces to add to your projects. 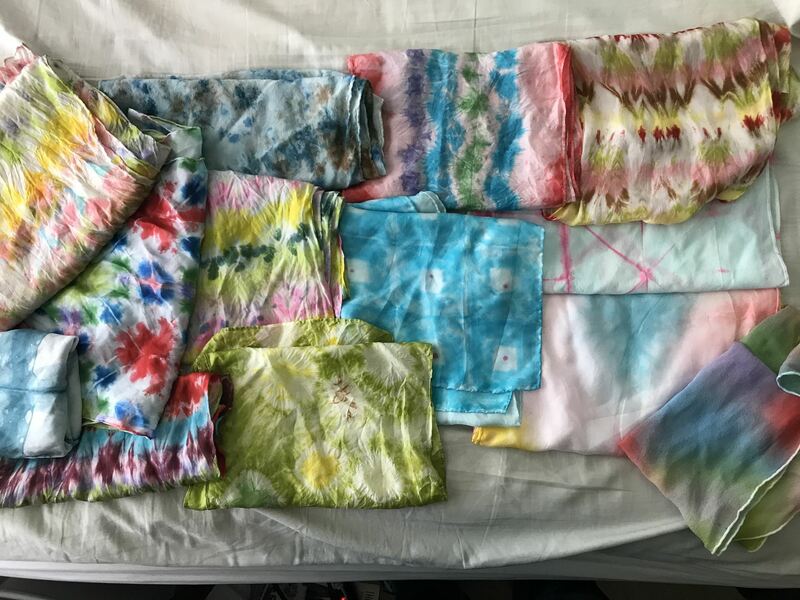 We will make 6 scarves using several different methods with some options for personal choices ( we won’t have time to do all of the options I show but you will understand how to do it again at home). I will also demonstrate a couple of other ideas that use your sewing machine or hand sewing. Some color theory will be discussed. Quick results, safe, non toxic dyes and lovely colors make this a fun, no fail class. Theses dyes are safe to allow children to use. There is no need for setting heat or chemicals. Class is size is limited to 8 allow more individual attention. Provide your email and I will send the class packet so no need to worry about note taking. Scarf sizes will vary but most will be 60 x 11 inches. We will use different types of silk so you have a variety of textures. Size of Finished Project: Scarf sizes will vary but most will be 60 x 11 inches-depends on what sizes are available when I order. Beginner, Intermediate skill level. 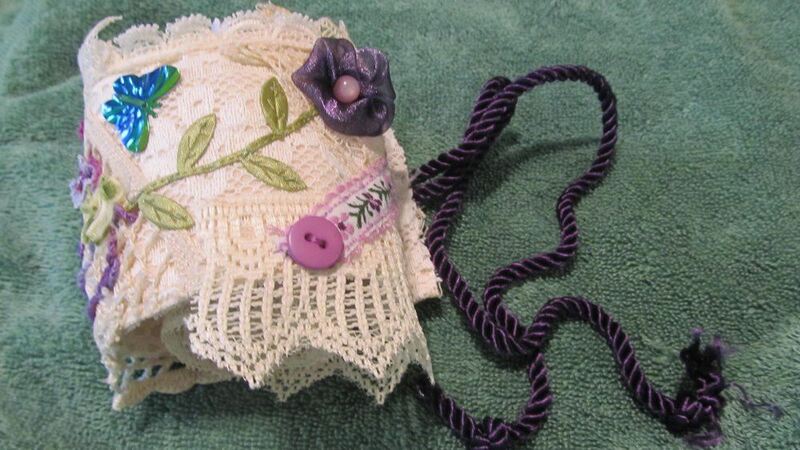 Come make a fun easy project using up tiny pieces of lace, trim, buttons, charms, fabric "snippets" --little treasures you cannot bear to toss out. Small pieces of ribbons, trim, charms, and fabric. It is suggested that you bring a wooden thread spool if you have one. A few will be available in the class for $1.00 as long as supplies last, but I only have a few. You can also use a regular thread spool of your choice. The roll with "roll up" without a spool also. 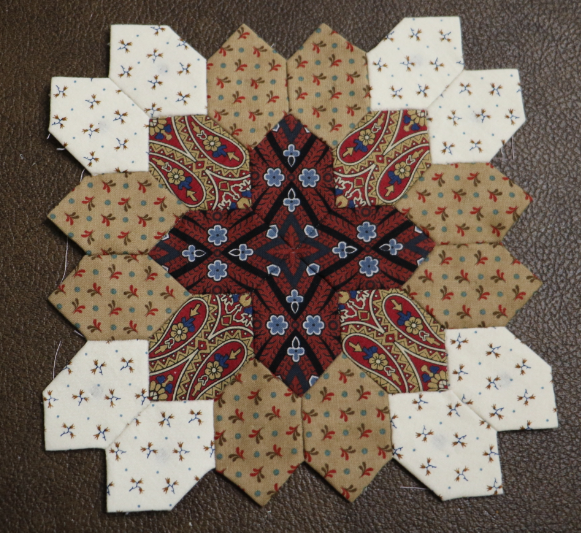 My grandmother pieced by hand when traveling or waiting. It’s portable and it’s accurate. Let’s learn to piece by hand. Learn to enjoy this portable craft so that we can get projects finished even when we are away from our sewing machines! This is beginner level for hand piecing. 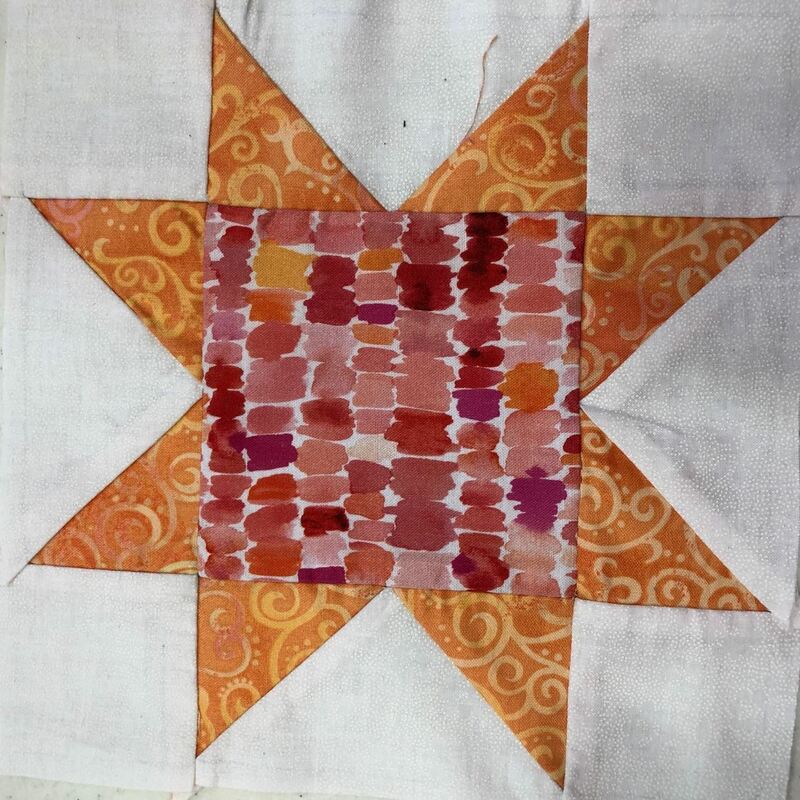 Learn how to English Paper Piece this quilt pattern. Class will cover fussy cutting, basting and hand sewing this block. This is a show and tell/explain type of presentation. I will prepare a booklet for everyone that will contain ALL of the ideas I present and I will use the session to ‘show and tell. I haven’t put the booklet together yet so you will have to take my word for it that it will contain minimally 50-75 ideas. This Quiltworx foundation paper pieced quilt is perfect to introduce you to the technique. 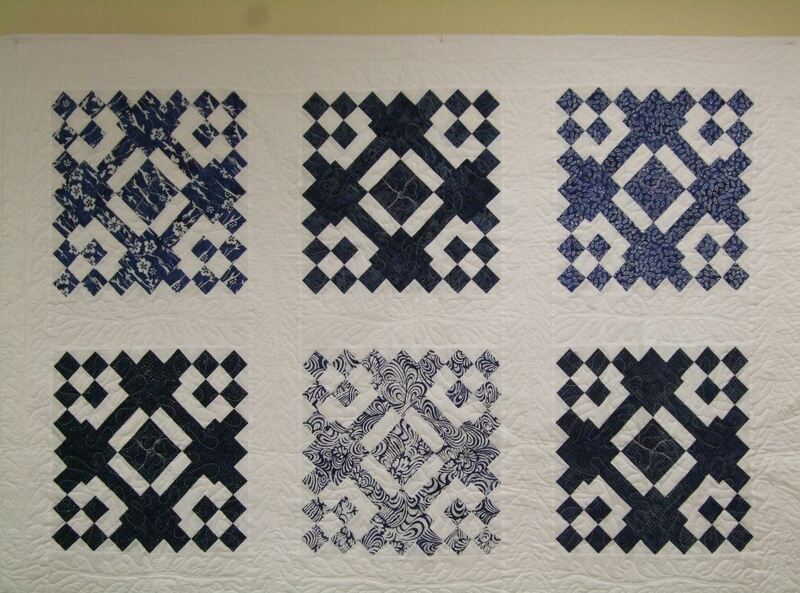 A great project for beginners or more advanced quilters who want to make this fun quilt. The finished quilt is 60" x 66". Quarter yard pieces of fabric (selvedge to selvedge) in two colors: blue and white; red and white; green and white; yellow and white; etc. 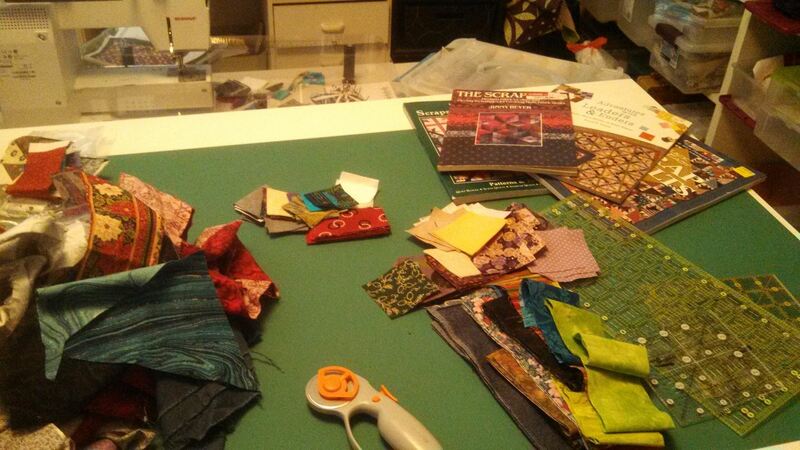 Or, a combination of setting and piecing colors that is pleasing to the maker. 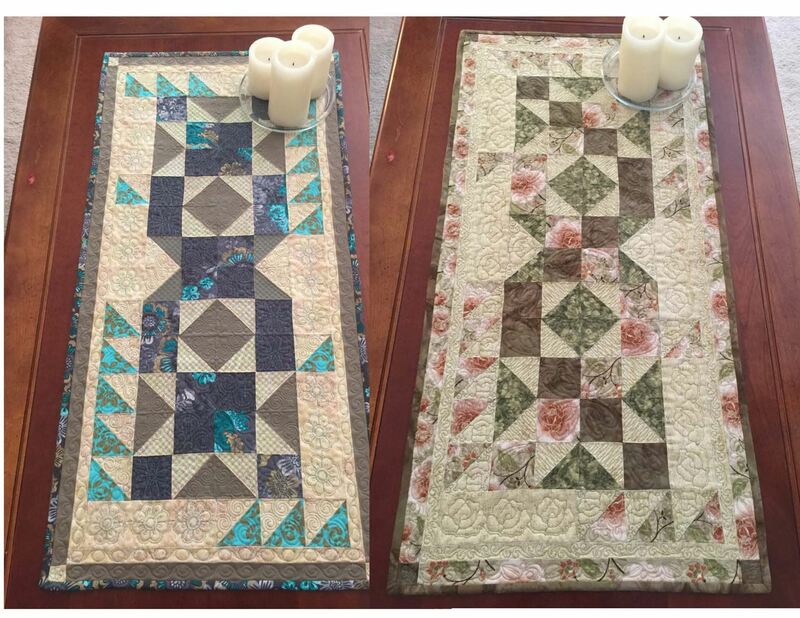 Learn how to free motion quilt on your home machine using printed panels. We will go over the techniques to make small, intricate, and colorful free motion pictures. 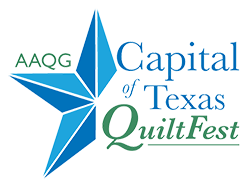 This is a class for advanced beginners or intermediate quilters. Basic Supplies: Scissors, seam ripper, gloves, silicone slider, two empty bobbin spools, a needle with a large enough eye for 4 threads to fit. An embroidery needle works fine. Your sewing machine should be able to be adjusted for speed. Featherweights do not work well on this. Please bring your regular machine. Learn basic appliqué techniques including preferred methods; how to mark, layout, and cut your fabric pieces; what needles and threads to use, etc. 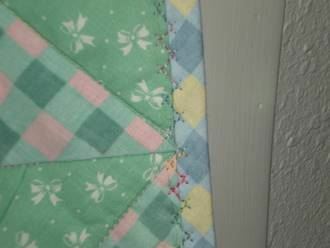 Techniques include appliquéing points, curves, “v’s,” making stems and circles. 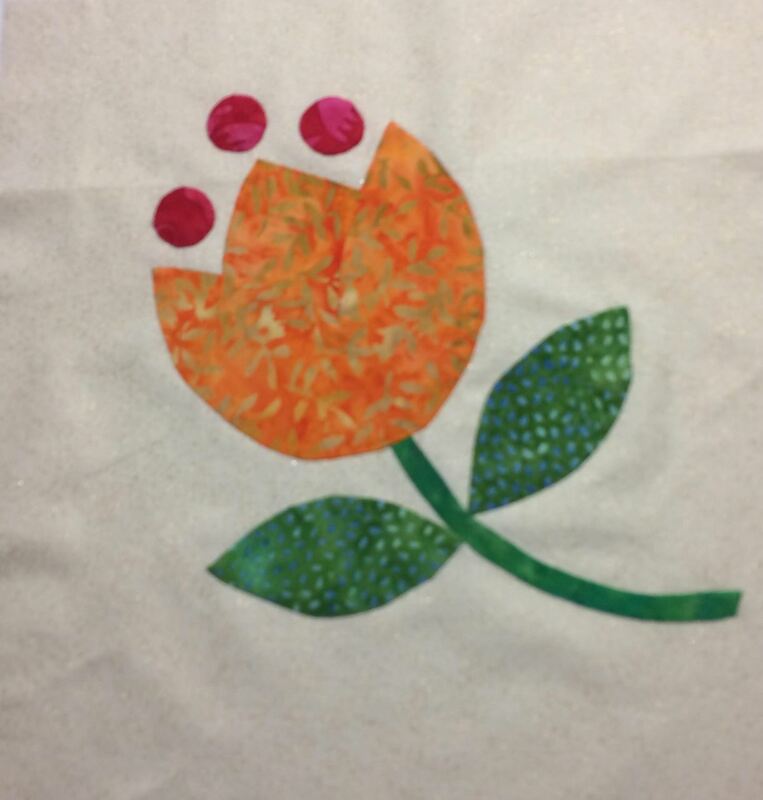 Class will include handouts with recommended supplies, sources for patterns and a list and our favorite appliqué books. Size of Finished Project: 10” X 10” Beginner level. This is hand appliqué. 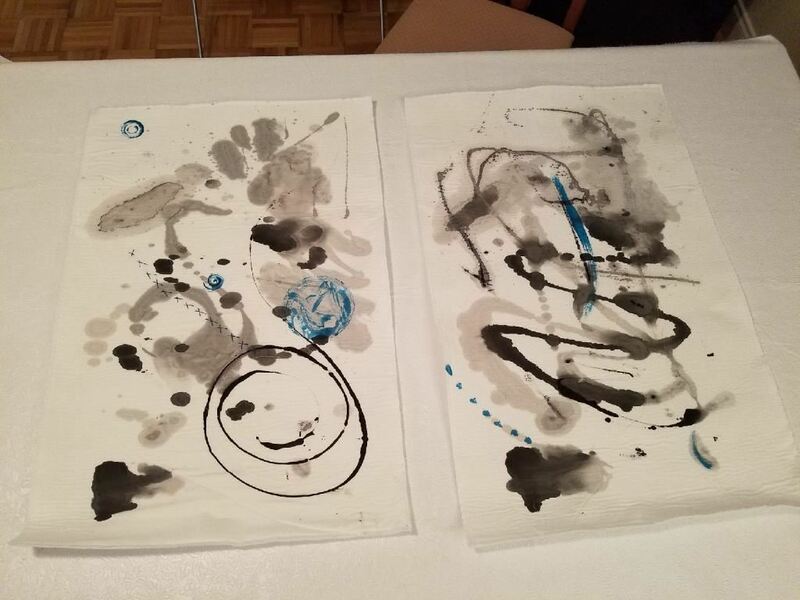 Experiment with a variety of paint on fabric using syringe, dropper, and squeeze bottles. 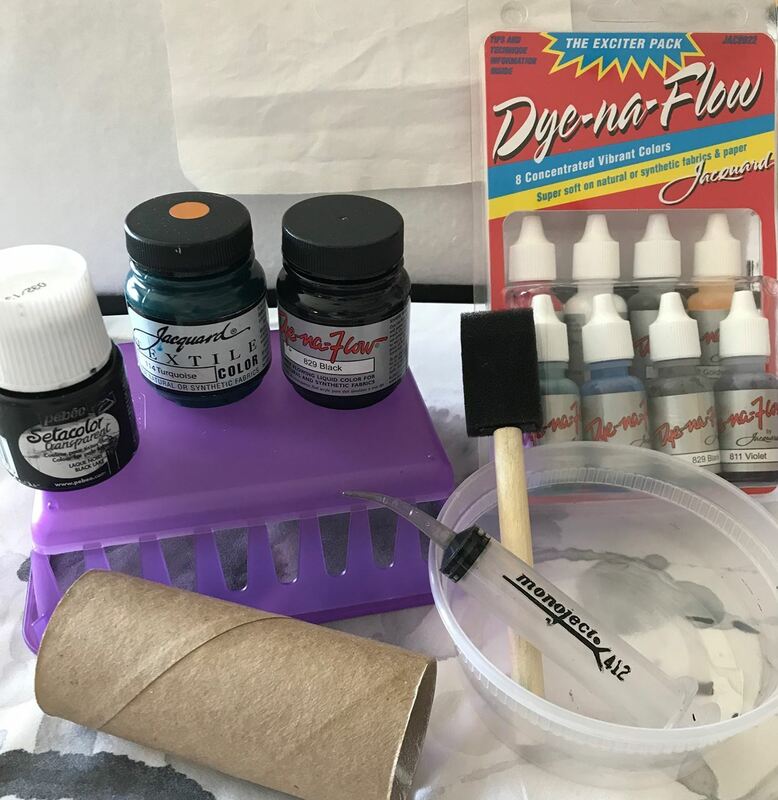 Become familiar with different tools and techniques as you apply paint to your fabric. Using gestural motions to apply paint on fabric, create a whole cloth top. 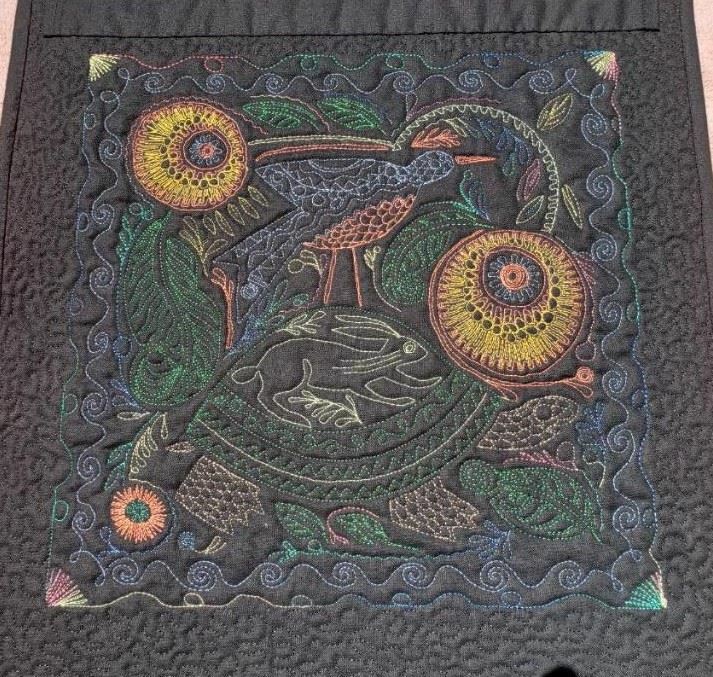 Design an art quilt with a layer of felt backing. Apply colorful accents and a few hand stitches for interest. Painting will take place prior to lunch. Design, layering, and stitching to be completed after lunch. Size of Finished Project: 28”h x 18w” (or student choice) All skill levels. 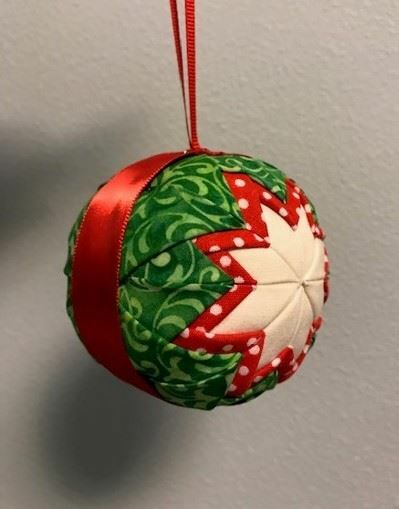 Using pins and squares of fabric, we will make lovely Christmas balls that look like you spent tedious hours piecing the pieces of fabrics. But it is really quite easy to make these lovely balls that show off a lovely star. Who remembers hanging their clothes on the clothesline? We rarely do that these days. So now we can use this humble cotton clothesline to make into a beautiful bowl or basket with a very simple sewing technique. I will provide the clothesline cord for this 5-7" bowl.